Our reputation as a leading water resources management firm is based on our extensive knowledge of and experience with well drilling technology, borehole evaluation, and well design, combined with our expertise in project management and stakeholder communications. 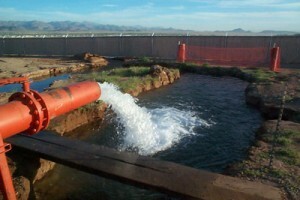 Since 1999, we have designed, installed, and tested hundreds of exploratory borings, test wells, and public-supply wells. These have ranged from small-diameter domestic water supply wells, to large-diameter public supply and Aquifer Storage and Recovery (ASR) wells. We have designed and installed numerous wells in both basin-fill aquifers and in more complex fractured bedrock settings. Using advanced analytical tools, we are able to develop groundwater supplies to meet both quantity and quality requirements, such that each well’s maximum potential can be realized.